It's kind of like darts... but not! 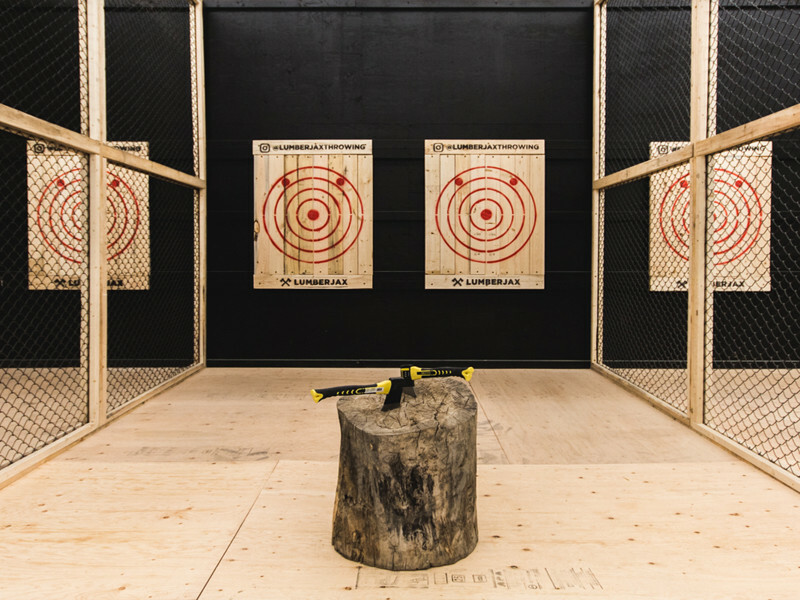 Axe throwing is one of the fastest growing indoor recreational sports and is now open in Winnipeg, Manitoba. 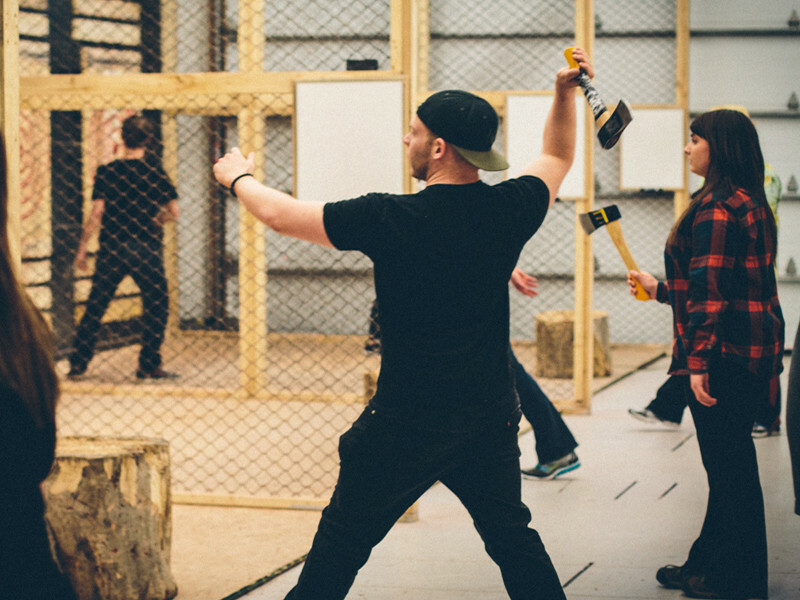 LUMBERJAX offers complete axe throwing technique and safety lessons prior to each session. Our staff then leads you into competition matches against your friends. You can expect lots of high-fives, friendly competition and socializing! Our large, 10 lane facility can accommodate up to 75 people and is perfect for a wide variety of group functions. We host team wind-ups, corporate events, fundraisers, bachelor/ette parties, league nights, walk-in nights and more. Because really, how many more times can you go bowling? !